The Lung Institute, a leading provider of stem cell therapy research for lung diseases, announces new location and the addition of Dr. Marakatham, bringing jobs and alternative options for chronic lung diseases like COPD to the metro Dallas area. Dr. Marakatham recently joined the Lung Institute as medical director of the new Dallas clinic. If there is one thing I enjoy most about my job, it’s when I hear from patients about how they feel better after treatment. The Lung Institute will open a new stem cell research treatment facility in Dallas in April of 2016, providing lung disease patients an alternative option that has reportedly improved patients’ quality of life by an average of 82 percent. Lung disease is the third leading cause of preventable death in the United States, and traditional treatment options remain unchanged over the past 30 years, until now. The Lung Institute is on the frontlines in the fight against lung disease, providing patients with a chance to improve their quality of life using a minimally invasive, outpatient stem cell procedure. As required by Texas state law, the Dallas clinic has received IRB approval for research protocols and stem cell procedures from an organization dedicated to integrity in human research and fully accredited by the Association for the Accreditation of Human Research Protection Program (AAHRPP). Operating under IRB approval is important because it protects patients in emerging fields of medicine, and ensures that facilities are following proper protocols on both the medical and administrative sides of operation. 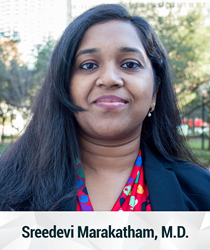 Sreedevi Marakatham, M.D. will be joining the Lung Institute as medical director of the Dallas clinic. Her specialty is internal medicine and, prior to the Lung Institute, she worked as a primary care physician where she saw many patients who suffer from chronic obstructive pulmonary disease (COPD). “When I heard about the Lung Institute, I was very interested to learn about alternative methods of patient care, especially when we can do something for severe COPD cases; whereas in conventional medicine, we don’t have an answer,” she stated. According to the Lung Institute’s recent in house white paper, 84 percent of COPD patients reported an improved quality of life score within three months of receiving treatment at a Lung Institute clinic. Additionally, 48 percent of those tested saw at least a 10 percent increase in pulmonary function, with an average increase of 16 percent. The white paper analysis focused on COPD patients, however the Lung Institute studies how stem cell therapy affects other pulmonary conditions by providing treatment for other diseases such as pulmonary fibrosis, chronic bronchitis, emphysema and interstitial lung disease. The Lung Institute is a leading medical provider of regenerative cellular investigative therapy for lung diseases such as chronic obstructive pulmonary disease (COPD), pulmonary fibrosis and interstitial lung disease in the United States. To date the organization has treated over 1,800 patients, 82 percent of which report an improved quality of life. Founded in 2013 in Tampa, Fla., the Lung Institute currently has clinics in Nashville, Tenn., Scottsdale, Ariz., and Pittsburgh, Pa., and now Dallas, Texas. For more information, please visit http://www.lunginstitute.com/dallas or call (800) 382-8095.